Austin fast food favorite P. Terry’s has expanded their offerings with a new drive-thru fast food joint specializing in Tex-Mex called Taco Ranch. Located in Oak Hill at Mopac and 290, Taco Ranch opened up for its first day on Wednesday, but CBS Austin writes that they had to close down at 4 p.m. to “regroup.” There wasn’t any sort of mishap – they just sold out of food! “They probably sold about 2,500 tacos in the first 9 hours of their soft opening. The restaurant will re-open tomorrow at 6 a.m.” Austin 360 writes. Owner Patrick Terry was thrilled to see his new business already flourishing thanks to the appetite of Austinites and the love already built up by burger-centric drive-thru P. Terry’s. 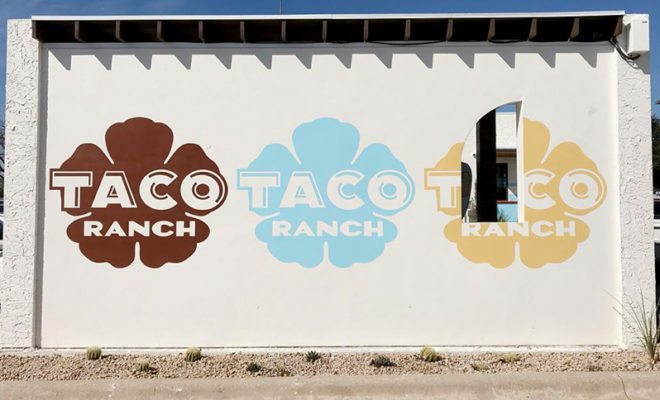 Eater Austin reports that Taco Ranch’s menu includes straightforward eats like tacos, chalupas, burritos, quesadillas, taco salads, and breakfast tacos. The prices hover around $2.25, so each item has simple, fresh ingredients without a ton of variations. Keeping with the spirit of P. Terry’s, there are vegetarian options available with “veggie crumbles” along with beef and chicken. Check Taco Ranch’s Facebook page if you plan on trying out their food this week just in case they sell out early again!